I’m not going to lie, I was properly nervous. My wife, sitting next to me with her hands over her eyes, was clearly more than a tad anxious. I engaged the low range, felt the revs build slowly, let out the clutch, and rolled forward––not too quickly, just fast enough to make the crossing. The wheels splashed into the water and vanished with alarming speed. The water lapped over the wheel arches, the bow wave perfectly matched to the size of the vehicle, which was admittedly, not all that big. 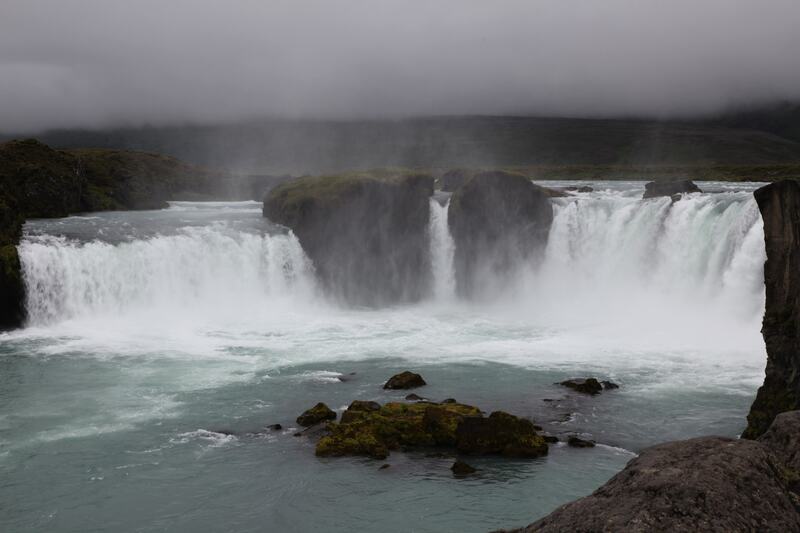 We were in the backcountry of Iceland in a rented Suzuki Jimny and as we crossed another wild river, one of dozens on our route, we whooped and shouted, celebrating the thwarted purchase of a flooded Suzuki. 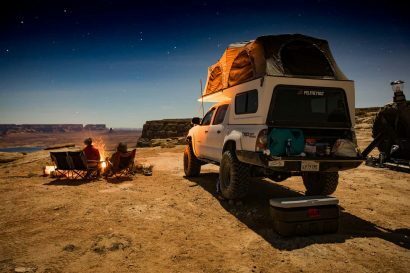 For many overlanders, certainly those with tens of thousands of dollars invested in their much-loved vehicles, the thought of traveling without it is heartbreaking. 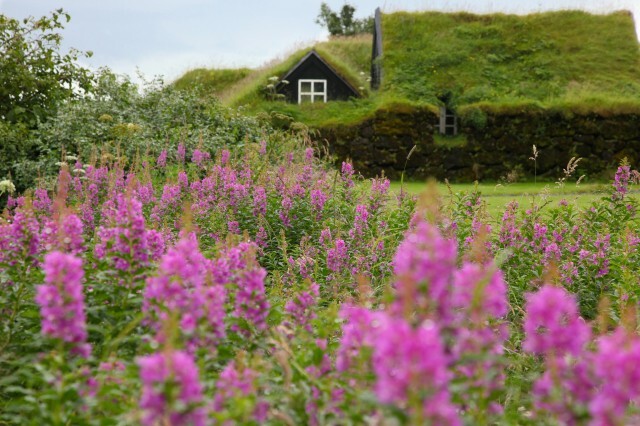 For me, it’s all about the adventure and given that Iceland is roughly 4,373 miles from my front door, and more to the point, a tiny island in the North Atlantic, renting a vehicle seemed like the thing to do. 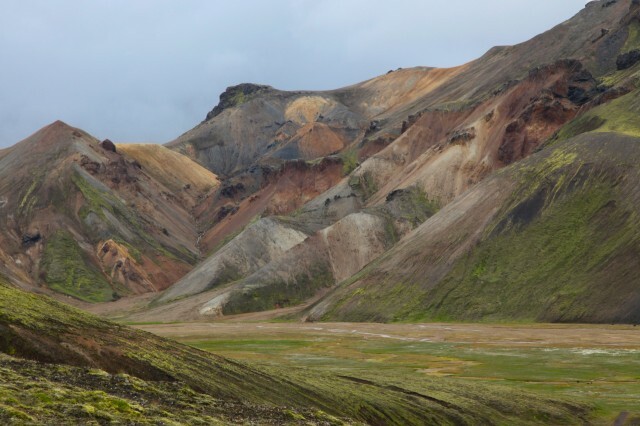 The world is full of exotic overlanding destinations, Iceland certainly one of the best. 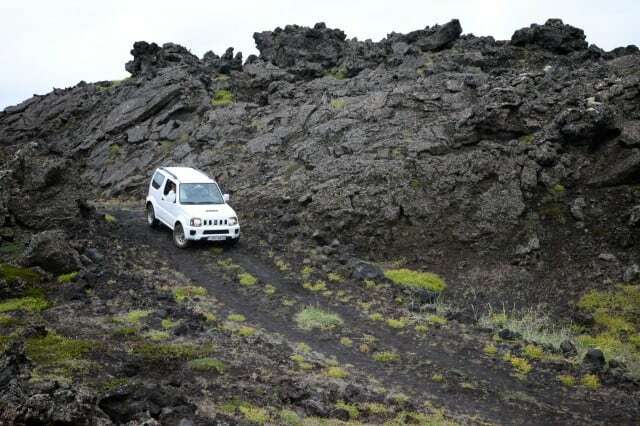 With only one primary road encircling the perimeter of the country, the entire interior is untamed, rugged, and webbed with narrow, bumpy, potholed, and unsealed roads. 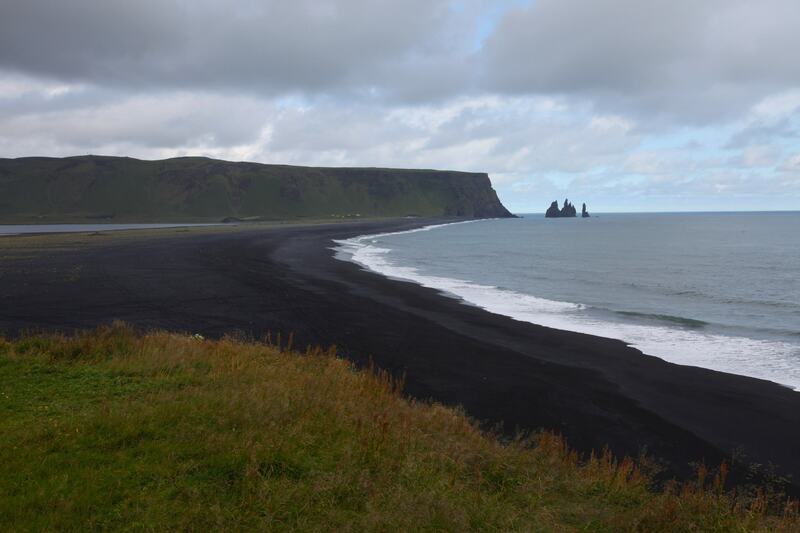 It is one of the most striking landscapes in the world with glaciers capping active volcanoes, black sand beaches, and basalt cliffs specced with white sea birds. Verdant farmlands along the coast give way to rolling hills of green moss and jagged lava fields as you drive towards the center of the island. 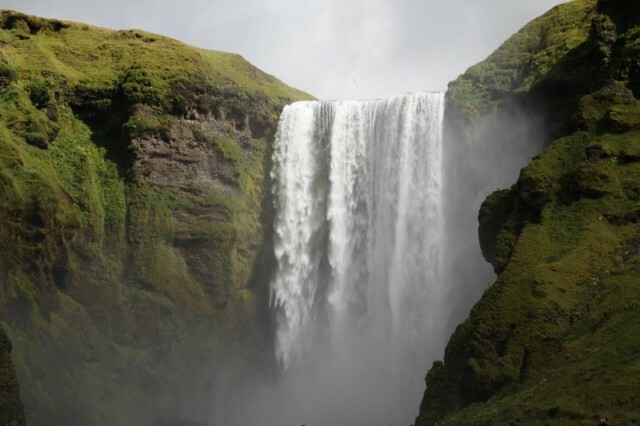 Waterfalls abound, many seemingly ripped from the pages of fairy tales. The extremes of the island even include Europe’s largest desert complete with dust storms and what at first glimpse seems like lifeless voids. Villages are few and far between with the large majority of the country’s populous living in and around the capital city. 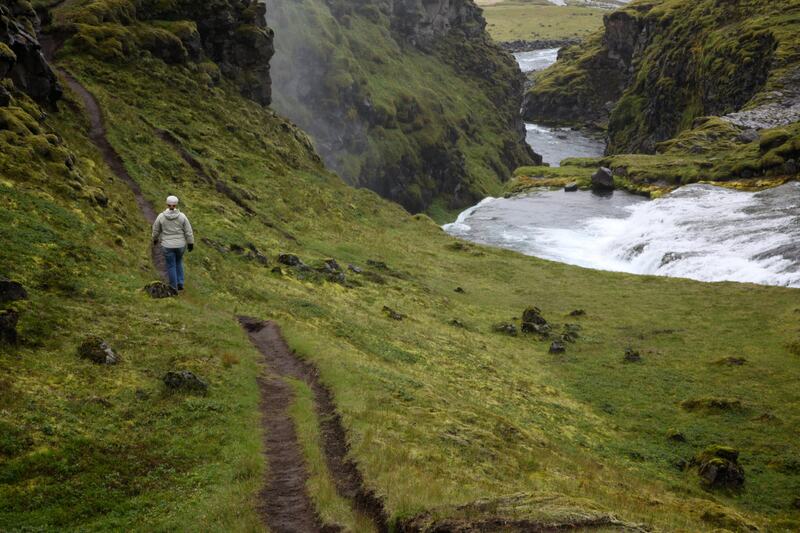 Design your route carefully, and you can find profound solitude. 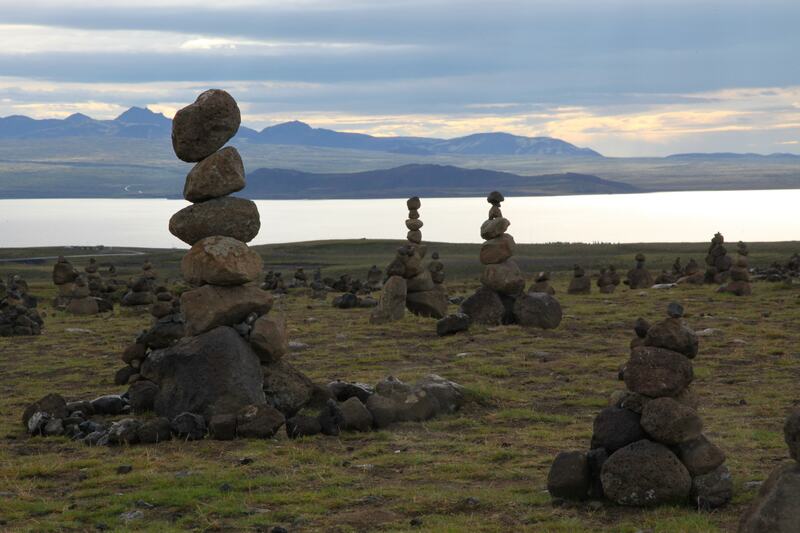 Visiting this otherworldly destination is actually rather easy. 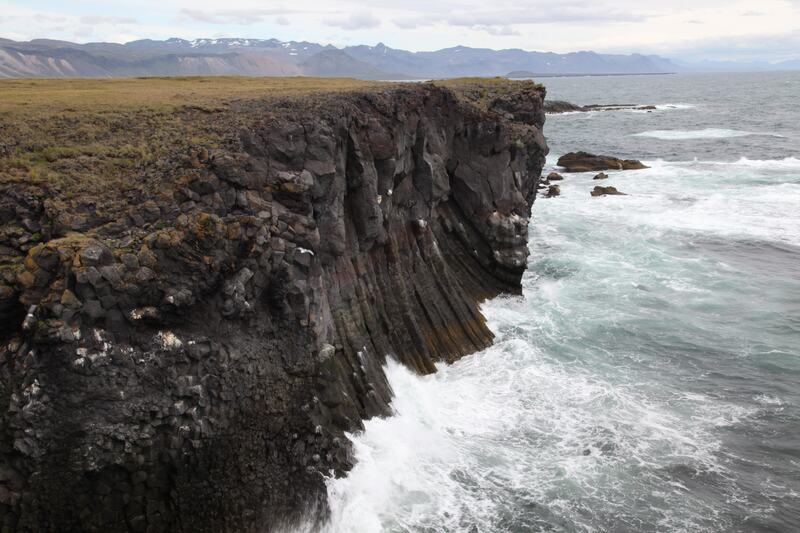 Flights into the main airport in Keflavik, just 45 minutes south of the capital city of Reykjavik, are becoming more frequent and surprisingly affordable. For our fly-and-drive journey into Iceland, we rented our Jimny from Blue Car Rental, their office conveniently located just a short walk from the arrivals gate at the airport. A quick search of the internet reveals an unusually large number of rental agencies for a small country of just a few hundred thousand inhabitants. Deeper searches reveal an unnerving number of horrible reviews, some detailing poor service, unreliable vehicles, or lengthy battles disputing unauthorized credit card charges. 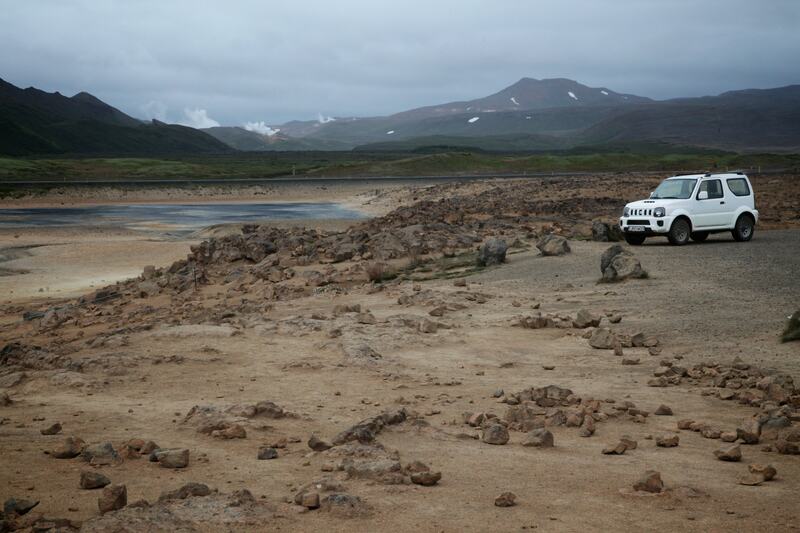 The other aspect of Icelandic car rental worth noting is the potential to spend a fortune. Some agencies renting higher dollar vehicles, or even rather ordinary options, can fetch north of $200 for a single day’s use. All of this weighed heavy on my mind as I decided which company to contact. Drawing on recommendations from an Icelandic friend who works in the hospitality and travel industry in Reykjavik, I took her recommendation and contacted Magnus at Blue Car Rental. Not to make this sound like an overwhelming plug for their agency, our experience was nothing but positive. 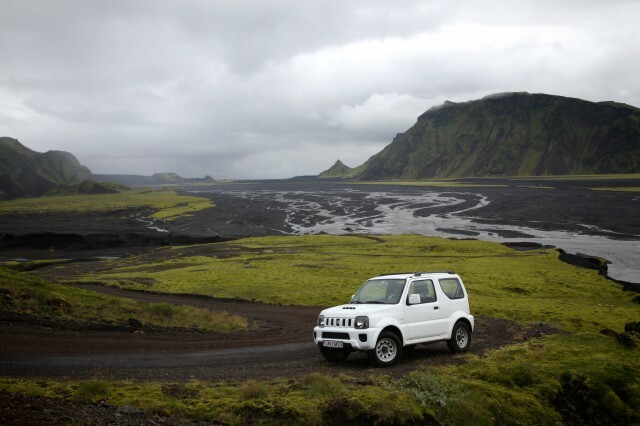 As we ventured beyond the suburbs and slipped into the backcountry, our choice of the Jimny seemed perfect. 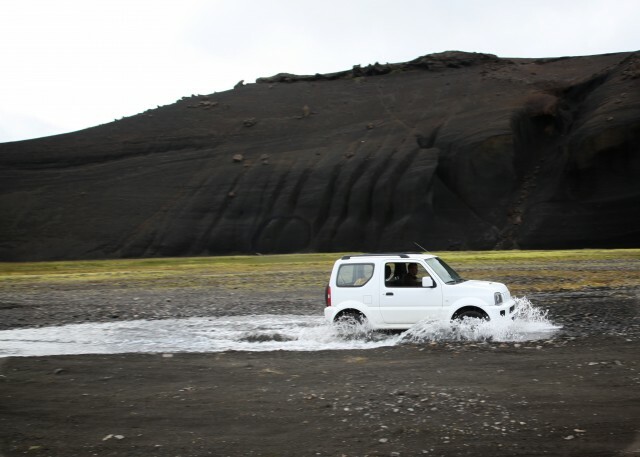 A small island with tiny roads, the diminutive Suzuki seemed like the only way to go. 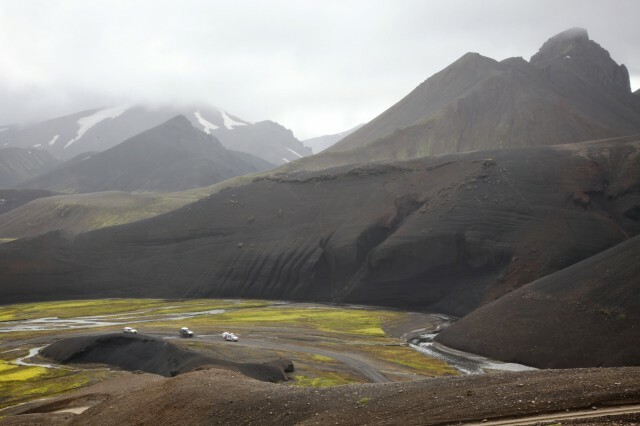 Driving through the lava fields and rural farmlands of the southern coast, we ventured past the town of Vik and then started to work our way north on the Fjallabak route towards Landmannalauger. Crossing countless rivers, we trundled down the bumpy roads that twisted through massive piles of volcanic ash and over huge hills offering amazing vistas. 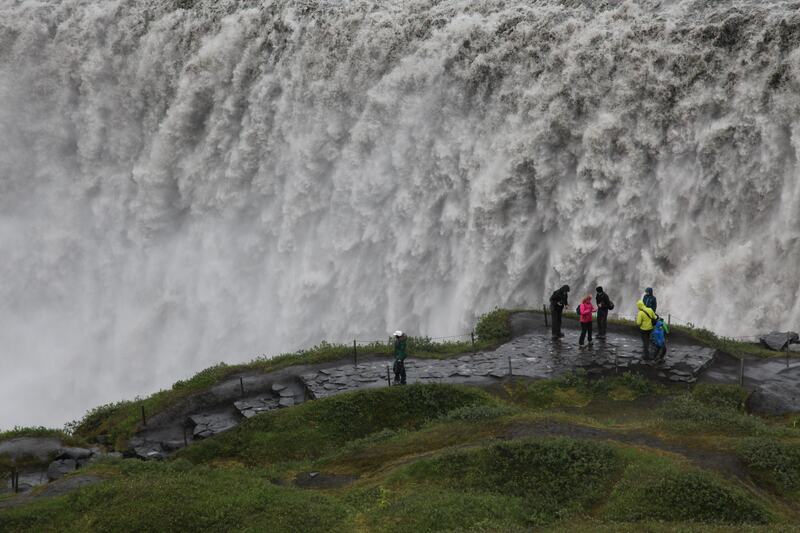 We felt a certain pity for those travelers, of whom there are thousands, who visit Iceland and never venture off the paved Ring Road that incircles the island. With an extensive network of campgrounds, small inns, and guest houses, traveling by way of rented 4×4, even a tiny one like a Jimny, was easy to facilitate and immensely rewarding. Over the span of 12 days, we went on to visit the beauty of the Snæfellsnes peninsula, the fjords of the northern shore, and vast stretches of the interior, our wheels taking dirt whenever possible. 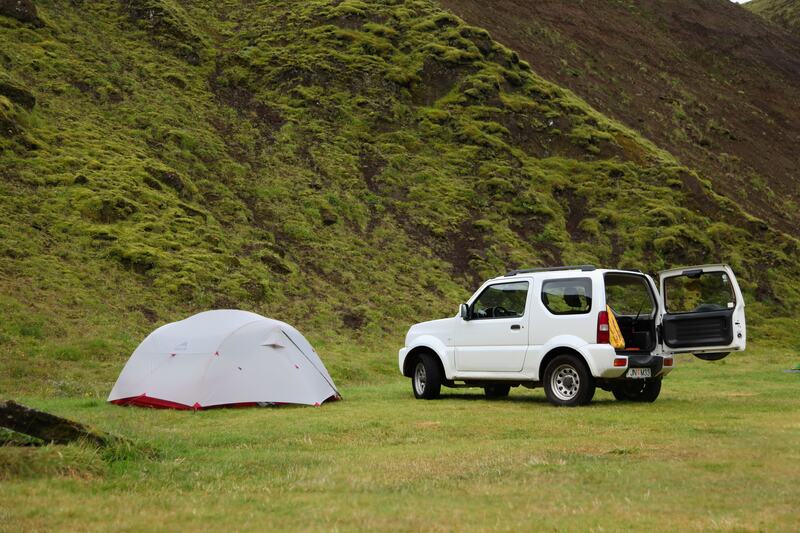 Although it is possible to rent vehicles of any size, including Blue Car Rental’s luxurious and capable 200 Series Land Cruisers, our little Jimny did great. 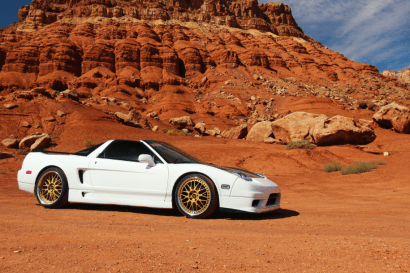 Fuel efficient and surprisingly comfortable, it also did far better off-road than many people would care to admit. Sipping fuel and the least expensive 4×4 to rent on the island, we couldn’t have made a better choice. If you’re up for a big adventure, don’t mind leaving your beloved truck behind, a fly-and-drive adventure in Iceland should be on your short list. 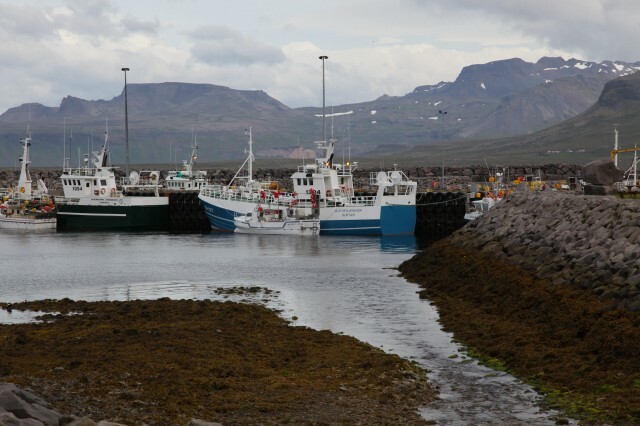 Author’s Note: Because Expedition Portal members are frequently curious about the cost of travel to such exotic locations, I thought it necessary to detail some of the modest expenses of this trip. Airfare on Delta Airlines, from as far away as Phoenix Sky Harbor, was as little as $1075. Car rental through Blue Car Rental was quite reasonable at only $125.00 per day. 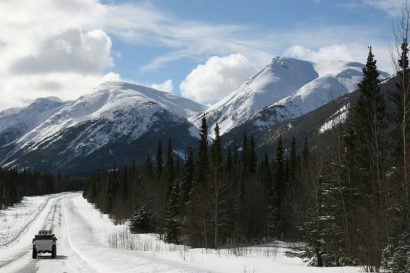 Knowing that meals and hotel accommodations can be expensive, we reduced our cost of travel by camping most nights. Campground fees seldom tipped $25 for two people. 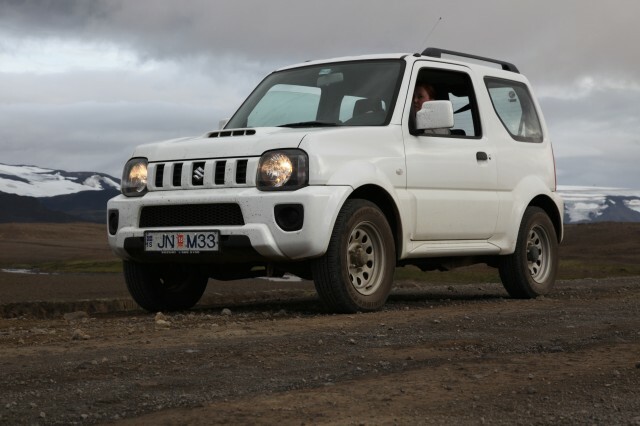 Fuel was expensive, pushing well beyond twice our normal price here in the states, but the high efficiency of the Jimny greatly reduced that outlay of cash. All in all, it wasn’t any more expensive than any similar trip we would have taken within our home borders.